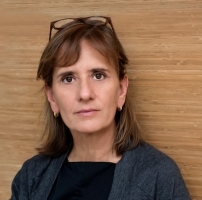 Join us in room 205 on Tuesday, April 14 at 4:30 p.m. for a Scholarship@Villanova lecture featuring Lisa Sewell, PhD, associate professor of English and co-director of the Gender and Women’s Studies Program in the College of Liberal Arts and Sciences. Dr. Sewell will read from and discuss her newly published collection of poetry, Impossible Object, which won the first annual Tenth Gate prize. The Tenth Gate, named in honor of Jane Hirshfield, recognizes the wisdom and dedication of mid- and late-career poets. A book sale and signing will follow the lecture. Final Week to Submit Falvey Scholars Award Nominations! Please consider nominating an eligible student for a Falvey Scholar award. The Falvey Scholar awards are given to seniors who have completed exemplary (and publicly presentable) scholarship or research during their undergraduate careers at Villanova. The awards traditionally have an emphasis on work that has required substantial use of scholarly literature of the sort provided and supported by the library. Nominations must be submitted by Tuesday, March 31. Interested in nominating a student? Submit a nomination. “…screenshots let you see other people’s screenworlds, increasingly where we all do our best thinking. They invite a useful voyeurism.” When is the last time you took a screenshot on your phone? Read a piece featured by Wired exploring the screenshot culture. 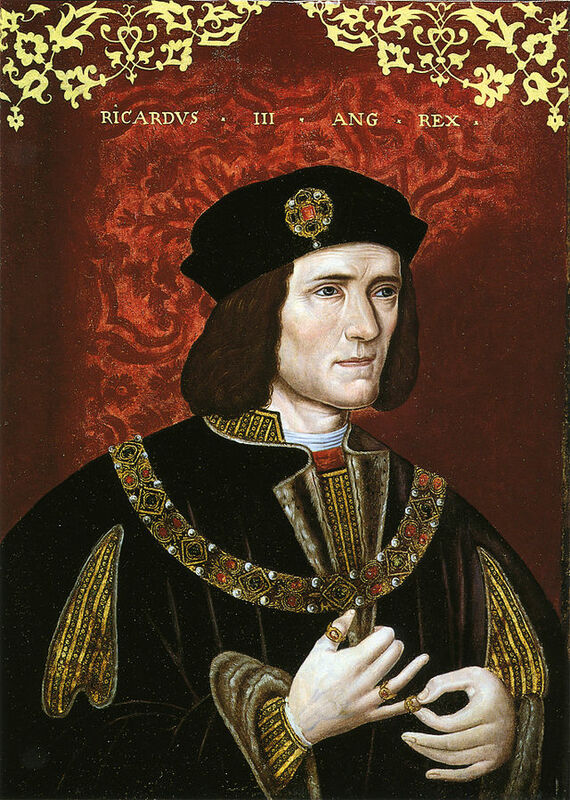 Perhaps you remember the news a couple years ago that Richard III’s remains were found under a municipal parking lot. That lot used to be a monastery graveyard, where battle-killed Richard III was buried and at some point forgotten. 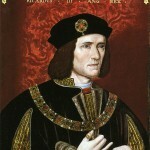 Today, the maligned monarch will have a real interment at Leicester Cathedral in England. 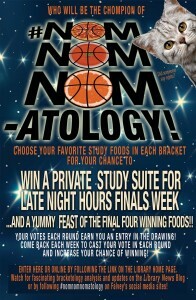 Sweet Sixteen is upon us in #NomNomNomatology! Be sure to vote for the winningest foods in some intensely delicious match-ups right here, or vote in person at the front desk in Falvey! It took me a second to realize that part of the title, On Emerging from Hyper-Nation: Saramago’s “historical” trilogy, was a play on words. 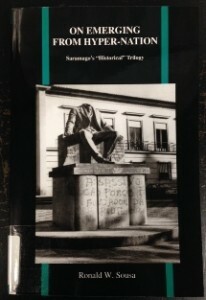 In the book the author, Ronald W. Sousa, seeks to answer the question, “Why do I smile on reading one of [Jose] Saramago’s ‘historical’ novels?” You’ll have to check out this book to find out why.